The North Korean official who oversaw last year’s disastrous currency revaluation has been executed by firing squad, according to reports from South Korea. Pak Nam Gi, the former finance director of the ruling Workers’ Party, was shot in Pyongyang last week, according to the Yonhap news agency and a South Korean newspaper. Yonhap quoted an unidentified North Korean source saying that the official had been convicted of treason for “ruining the national economy as the son of a big landlord who infiltrated the ranks of revolutionaries”. It is more likely that he has been made a scapegoat for one of the most unpopular moves by the North Korean regime since the deadly famine of the 1990s. Know any other central bankers who have been printing money to prop up a cult-of-personality regime and ought to ponder this? Frank Holmes, CEO of US Global Investors, says he's spoken to Canadian hedge fund giant Eric Sprott. Sprott tried to buy the allegedly remaining 200 tons of IMF gold and was refused. "I just spoke with Eric Sprott, who bid to buy [the IMF's remaining gold on the block] and they refuse to sell it." As Kitco points out, "the IMF might be holding out for a bigger buyer or a central bank or for higher prices. But Holmes argues the IMF's rejection of Sprott's bid means markets are being manipulated." Back to Holmes: "I think there is a lot of manipulation done by governments around the world in the currency markets which affect the bond markets so to me it's just normal course." ZombieTime is a photoblogger who was in San Francisco at several of the events I went to in 2005-07, but I never met him. He's covering more ground now, and was in Searchlight and Los Angeles at rival protests. Which group represents your views? Which represents Reid/Pelosi/Obama's? What do you call a woman with no arms and no legs who's blocking your TV? A St. Paul man beat up a quadruple amputee because he was angry that she was blocking his view of the television, according to a criminal complaint filed in Ramsey County District Court. Jacoby Laquan Smith, 33, was charged with fifth degree assault, a misdemeanor, and interfering with a 911 call, a gross misdemeanor. According to the complaint, St. Paul police were called on a domestic assault case at 6:49 a.m. March 22, and found a 28-year-old woman sitting in a wheelchair. "Officers observed that all four of her limbs were amputated, her arms below the elbow and her legs above the knee," the complaint said. The woman told police she shared an apartment with Smith on Jessie Street in St. Paul's East Side and an argument started because Smith became angry at her for getting in front of the television, the complaint said. 33-year-old Norman LeBoon of Philadelphia has been arrested after threatening in a YouTube video to kill Rep. Eric Cantor. As long as the media and Democrats are having so much fun with this guilt by association stuff, let's note that a Norman Leboon Sr. listed as disabled/retired in Philadelphia is an Obama donor. UPDATE: Apparently Psycho Boy himself, not his father, is "Norman LeBoon Sr." Scary to think there might be a Norman LeBoon Jr.
Now that their violence/racism smear campaign against the Tea Parties is falling apart, the mainstream media are trying to minimize the size of the movement. Ever get the feeling you're being lied to? So says Politico about Tea Parties nationwide, and it's certainly true of our local San Diego Tea Party, led by the lovely and gracious Sarah Bond, Dawn Wildman, and Leslie Eastman. Wesley Earnest’s expenses exceeded his income by some $55,000, according to testimony from his estranged wife’s divorce attorney. The testimony, presented this afternoon in Bedford County Circuit Court, paints the picture of a man drowning in debt and asking the court system to grant him spousal support to help pay down those loans and cover expenses. Wesley Earnest, 39, is charged with murdering his estranged wife, Jocelyn, in December 2007 and trying to make her death look like a suicide. In divorce filings, Wesley Earnest listed his income at roughly $77,000 per year, but his monthly expenses at just over $11,000 per month, totaling more than $130,000 per year. I think Mr. Lewis gives a little too much credit to the Dems in that quote, what with thinking they have a conscience and all...but the rest is right on the money. Temple of Mut has the details. UPDATE: And Breitbart has an awesome roundup with video. This graph comes courtesy of T-Dub, who shows us that Alan Greenspan took the reins of an economy of productive savers and investors, and turned us into spendthrift home-ATM junkies. Somebody's gotta keep things light around here. On March 5, deputies arriving to post an eviction notice on Lynda Clark's South Philadelphia home found she had hanged herself. "It's devastating for everyone. We're not even family members and it's just devastating to us," Captain Albert Innaurato of the Philadelphia Sheriff's Office said. Less than three weeks later, owner Gregory Bellows shot and killed himself shortly before deputies arrived to evict him from his Roxborough home. Court records show Clark, whose debt topped $100,000, lost her home at a Sheriff's Sale last October. Bellows, owing more than $240,000, had his home sold at a Sheriff's Sale in 2008. Congress has just forced expensive new mandates on individuals and businesses to buy full-service, top-of-the-line health insurance plans. But insurance companies can still deny coverage to sick children! Rand Paul is still leading in the polls and on Intrade, but Trey Grayson has been raising lots of money from Washington insiders. Jesse's Cafe Americain has a must-read post up about the hubris of those trying to predict the future when we are in such uncharted economic territory. I've had the hubris to stick with stocks during GD II, and the hubris to buy an overpriced California 13% unemployment house believing that inflation would bail me out. All the while I've been troubled by the Japan conundrum: why hasn't Japan been able to print its way out of debt deflation, and do we risk following the same path? You place your bets and you takes your chances. And you hope that this debt crisis doesn't end as badly as it might. Japan may be on the optimistic end of outcomes. If you're a fan of Cristoph Waltz, you'll be an even bigger fan of this bulldog. 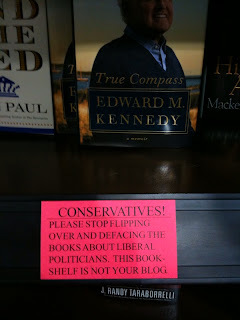 I'm not really the "Coffee Party" type, anyway. 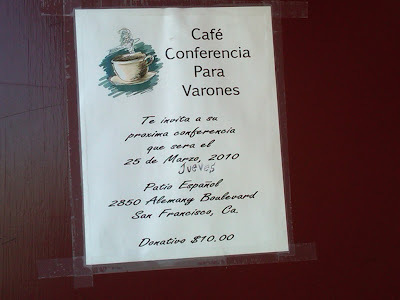 And watch out when you're in San Francisco and get invited to something for "varones." Not that there's anything wrong with that. Sharpton Finally Confirms Obama's "Socialism"
ObamaCare has removed any pretense of moderation the Democrat Party has been trying to maintain. The mask is off. Did any of you ever watch the old TV series "V" (or the newer version)? We're now at the stage where America is finally seeing what is actually behind the mask Obama wore during the 2008 campaign, the mask most of the Democrat party has also been wearing. Thankfully he's admitting the truth. But what does it suggest for the near future, now that they're not even hiding it anymore? On the plus side, most of it doesn't go into effect for years, so future Congresses and Presidents have plenty of time to undo it. And as bad as it is with no cost controls, driving up taxes, deficits, and premiums, I think the political will will be there to undo significant parts. If one agrees with the Churchill quote below, then one might be interested in the fact that Obama's Health Care bill, if passed, will increase the size of the IRS by 12,000-16,000 agents. And every single month, the IRS will be checking the status of every citizen's health insurance to make sure he/she is on a government-approved insurance plan. The Enforcement Agency of this Health Care bill is the much loved IRS. Anyone else feel like calling their Congressman now? Today is our friend I.P. Freely's birthday. In his honor, Sheila Bair thought it would be fun to shut down I.P. 's home town bank, American National Bank in Parma, Ohio. That's the last time you bastards will deny I.P. a loan! UPDATE: Sheila closed the Lucky 7 today for I.P. Let's hope I.P. gets lucky all year long. They don't have the votes yet! And there's another protest tomorrow in Washington D.C. Check with your friendly neighborhood Tea Partier for a protest near you. Crucified by the GOOG: "Sorry, your account has been disabled." With no explanation, Google/Blogger disabled my account. I don't know whether it was a mistake or whether one of those Google leftists didn't like something I wrote. I've tried to contact Google Help several times today, with no response. My account is still shut down, and I'm posting this from a temporary new account I've created. If I can't get this resolved, I may switch over to WordPress permanently. That might be a good idea anyway. UPDATE 3/19: Fixed without explanation or apology. And now all the comments that I have posted using my Google/Blogger account over the years on this blog and others have disappeared. Courtesy of my 6 year old's school. I especially like the flair of the Mr Yuk sad face under the "WE FLUNK!!" When asked if she'd gotten a pink slip yet, my son's teacher said no, they try not to talk about that in front of the children. Pulled aside, she said she had nothing to worry about as she's been there for years. Apparently she has not seen the sign the children were so kind to make. Way to go, kids, Mommy is proud. Think again. I think we're watching "Checkmate" in action. Why? Word is that Immigration "Reform" is the Obama Administration's nextgoal,and that they intend on granting Amnesty to the illegals living here now. 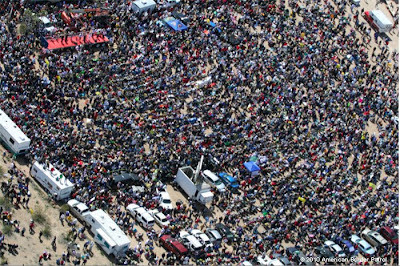 Estimates put that number at about 15-30 million people. Assuming 90% of them would instantly become life-long loyal Democrat voters (And why wouldn't they? They've just been given US citizenship and US Health Care by a Democrat), any massive "backlash" against the Democrats that appears to be developing right now will really only end up likely being more than countered by the massive increase in the total number of loyal Democrat voters that Amnesty will provide. We're all up to our eyeballs in debt: homedebtors, student loan suckers, credit card spenders, state and local governments, the federal government. 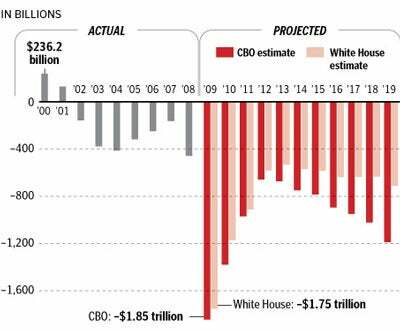 President Obama's answer to this debt crisis is more debt. He wants to spend the federal government off a cliff, and he wants to encourage consumers to spend themselves off a cliff. To some of us, that doesn't seem a rational path. 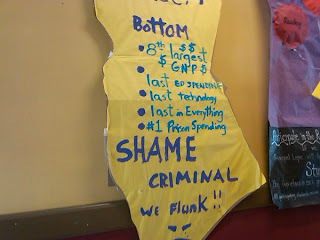 Shouldn't we pay down the debt so that we regain sounder financial footing? If that's not possible (and it's not remotely possible for the federal government and many consumers), shouldn't we default? Be safe out there, you drunken little freaks. Meanwhile, today was most certainly not a happy St Patrick's for Overstock.com's Patrick Byrne, who had to deal with the full force of the financial blogosphere in the wake of Overstock's most recent SEC filing. What's up this time? Oh nothing, Overstock is still working on restating 2008's financials and trying to figure out how to create just ONE GAAP-compliant quarter. One need not be a CPA to see how ugly these guys' accounting is. The problem? Overstock's most recent SEC filing isn't merely bad, it's filled with blatant lies, creative accounting, and the sort of GAAP violations that would make even Arthur Andersen blush. Our friend Leslie Eastman reports from the San Diego Code Red ObamaCare protest. Obama has put SEIU chief Andy Stern on his "Deficit Panel"? Congress refused to create that panel, so Obama did so by executive order. And now it looks like he wants to fill it with the likes of this Communist Andy Stern, who's said"If we cant use the power of persuasion, we will use the persuasion of power. 'Workers of the world unite' is no longer just a slogan. It's the way we need to do our work". I wonder what Stern will have to say about our Deficit problem as part of the panel. In that linked clip he says the SEIU wants to build a "global organization of workers". Is anyone here familiar with Vladimir Lenin's goals? They were identical. Too bad for Obama that Lenin isn't "available" to serve on his Deficit Panel. From the DailyCaller.comJERUSALEM — Relations between Israel and the United States have hit a 35-year low, Israel’s ambassador in Washington said amid simmering tensions between the two key allies.“Israel’s relations with the US are facing the most severe crisis since 1975,” the Yediot Aharonot newspaper Monday quoted ambassador Michael Oren, a prominent Middle East historian, as telling consuls in the United States during a telephone briefing over the weekend. Congressmen are Actually Telemarketers. Yes, it's worse than you thought. One thing that went relatively unnoticed in the aftermath of Democratic Congressman Massa's resignation last week was his explanation of how corrupt Congress really is. This clip below is an eye-opening glimpse into the inner-workings of Congress. The only reasonable Conclusion? Congress consists of a bunch of Telemarketers! We all knew they were "bought and paid for", but it turns out Congressmen are often the ones initiating and soliciting those transactions! Personally speaking, before I saw this, I would have guessed there was nothing that could make me think things in Congress are actually worse than I thought. After seeing this clip, I stand corrected. It's worse than I thought. -Each Congressman spends between 5-7 hours a day on the phone begging for money. 3000% ? Really? Has Obama double checked his math? Which is worse? Obama's lying powers hitting hyper-drive in this first clip? Or The Democrats' shameless use of children (though every one of us surely sympathizes with this young, brave boy Marcelas) and the best faux-somber tones a trial-lawyer can muster in this clip? I mean we knew that. 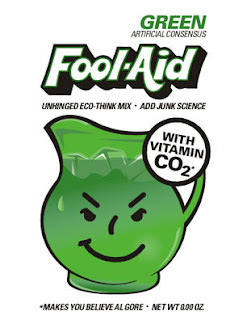 Al Gore is full of s%^&, the Bloom Box is a waste, China is gaining on us and, oh yeah, basically this "green energy" scam is all about desperately blowing a new bubble. You're welcome. Anybody interested in hiring this guy? 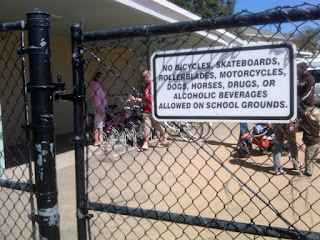 Do they provide skate ramps, beer openers, bongs, and dog houses near the bike racks? B-Daddy infiltrates the "Coffee Party" and finds a curious collection of of San Diego liberals taking orders from a faceless "National." Is NPR a hate group? KPBS, the local NPR affiliate, titles a discussion on Tea Parties "Are Tea Partiers Hate Groups?" The panel included Richard Rider, who eloquently explained the Tea Party movement, a Poway Tea Party woman who was sincere but a bit confused and garbled, a "peace" professor and a Southern Poverty Law Center representative. Rider had to single-handedly calmly explain what the Tea Party was about as the hysterical leftist panelists and NPR listeners speculated about racist motives and terrorist offshoots. 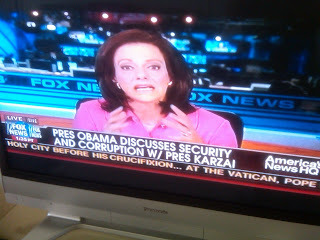 Our friend Sarah Bond also phoned in and had a couple minutes and did a great job enlightening the paranoid. Insights into the inner-workings of the Democrat party right now, from Congressman Stupak. Check out just how disturbing the party's thinking is. They're insisting the health care bill include Federal $ for Abortions because it'll be more expensive to cover all those kids who will be born if we don't! James Sikes has a lot of debt and a colorful history. The timing is certainly odd coming right as Toyota panic was making headlines. 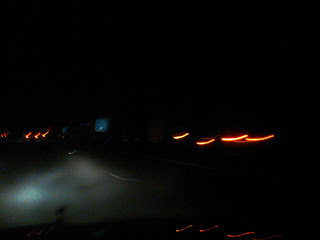 And it certainly is coincidental that the "stuck accelerator" happened on a wide open freeway with miles of open road straight ahead rather than on city streets, a congested freeway, or heading west toward the ocean. UPDATE:Forbes destroys Sikes. And if you want Sikes' side of the story, you can call him at (619)-957-7355. ... will be Obama's choice for Fed Vice Chair. She's about the most dovish (i.e. inflation-loving) choice he could have made. Got gold? Massa hired lots of young, gay staffers and underpaid them so they would have to live in his townhouse of depravity. And Pelosi has been sitting on this since October, presumably because she wanted to protect a Democrat in a swing district. Is this to guard against the amassing pitchforks maybe? The US Department of Education has ordered 27 Short-Barreled Remington Shotguns. Fox News links UrbanDictionary? Yikes! But the allegations and bizarre anecdotes certainly didn't end with the off-color remark -- "What I really ought to be doing is fracking you" -- which Massa admitted to making to a staffer at a wedding reception on New Year's Eve. He originally described that comment as the lone offending incident that was exploited by his enemies to bring him down -- but aides apparently complained about others and several of Massa's former Navy shipmates have gone on record detailing a pattern of inappropriate behavior. One shipmate told The Atlantic that Massa was known for giving "Massa Massages" to the other men on board. The shipmate also said Massa once climbed up to his roommate's top bunk to attempt to execute a sexual maneuver known as snorkeling -- for more information go to UrbanDictionary.com. "He wakes up to Massa undoing his pants trying to snorkel him," the shipmate told The Atlantic. Considering where Greenspan is going, he should get used to the heat. Don't believe what you read in the papers, kids. How about an eye-witness report instead? I promise you this: I was there just hours ago. San Francisco MTA does not have the money to maintain our public transit and parking systems - and admits as much - but will try to pull the financial rabbit out of their hats anyway. Their sleazy overpaid CFO made a 5 minute appearance to the town hall and snuck out moments before actual San Franciscans made their opinions known. I saw what you did there, Nat Ford. No, like, actually saw it. In the room. Snuck right out the side door to the 2nd floor atrium. I am sketchy and even I don't pull stunts like that. Their media guy is quitting but forced himself through the handbook tonight anyway. That's one ulcer he can check off his list, good for him. Is the Census recruiting from Walmart? Walmart is raising eyebrows after cutting the price of a black Barbie doll to nearly half of that of the doll's white counterpart at one store and possibly others. Famous 1940s test used dolls and kids to gain insight into race perspectives. A photo first posted to the humor Web site FunnyJunk.com and later to the Latino Web site Guanabee.com shows packages of Mattel's Ballerina Barbie and Ballerina Teresa dolls hanging side by side at an unidentified store. The Teresa dolls, which feature brown skin and dark hair, are marked as being on sale at $3.00. The Barbies to the right of the Teresa dolls, meanwhile, retain their original price of $5.93. The dolls look identical aside from their color. Editors at Guanabee.com said the person responsible for the photo told the Web site that it was taken at a Louisiana Walmart store. The person did not return e-mails from ABCNews.com. This will be dear to the hearts of our regular readers, who are familiar with the work of Edward Gil. List your race as "American" on the census. Negroes on the left, orientals on the right. Hey, why don't we have Jews wear a yellow star while we're at it? Your government wants to classify you ethnically to foment divisive group identity over both patriotism and individuality. Let's throw a monkey-wrench in these race hustlers' machine. A Fellow Democrat on Obama and Emanuel. This is how thug politics work. The full 90 minute version of now-resigned Democrat Congressman Massa's interview is available here, in which he details the thug politics of Obama/Emanuel/Chicago, and that Unions were telling him they won't donate to his campaign if he doesn't vote for Health Care. As usual, from the genius over at Tyler. You guys can totally keep b^%&fighting amongst yourselves, we'll be here when you're ready to really do something about this mess. Icelanders to gullible Brits: Get Lost! Stupid British people put their money in a crappy Iceland bank because it was paying high interest rates. Bank goes bust, government of Britain bails out its stupid people, then demands that all of the people of Iceland pay up for the crimes of a few dirty banksters. People of Iceland: "I don't think so!" In a tragic tale that won't be surprising to GBC readers, slumlord Lawrence Myers got in over his head in debt. So he turned to arson for a quick payday. The owner of a Cicero apartment building in which seven young people died in a February fire had his building manager set the blaze in a plan to cash in on a $250,000 insurance policy, Cook County prosecutors said Friday. [...] Myers was struggling with a mortgage he couldn’t pay on a vacant Wisconsin building, [assistant state’s attorney Mary] Lacy said.